2017 was a strong year for horror and fantasy, but it was still a year that offered plenty of problematic films. Read what most of the critics at Wylie Writes considered the stinkers of 2017, and don’t forget to click highlighted titles for reviews. The Recall starts as a “dead teenager” horror – giving in to tired stereotypes and set-ups – and makes a sharp turn into sci-fi. The genre shift is not only jarring, but lacks confidence and resourcefulness. Wesley Snipes purposely hams it up, but it’s all for naught when the cast of younger actors are missing the campy tone of the film. The ending, which opens this film up to a possible sequel, is just embarrassing. It’s never clear to the viewer whether Rings is a sequel, a reboot, a reimagining, or something completely different. I sincerely believe the filmmakers behind this flaccid slow-burner didn’t know either. It’s an indecisive slog that feels like it was made out of obligation or convenience. The Space Between Us was an unfathomably goofy fish-out-of-water romance. Asa Butterfield, who has proven to be a talented rising star, is out of sorts as a quirky love interest, while attempts at sentimentality and humour land with an emotionless thud. The film’s logic and continuity have as much depth as a goldfish’s memory. This murder mystery was a complete waste of Jeff Garlin’s time and efforts. It’s unfortunate that Garlin, who wrote and directed the movie, is unaware of this. Handsome: A Netflix Mystery Movie boils down to a smug and pointless in-joke that was cheap enough to be brushed under the carpet by Netflix. Baywatch is desperate to meet the quality of 21 Jump Street and 22 Jump Street, but the material is DOA. Dwayne Johnson and Zac Efron fail to give the film charisma, director Seth Gordon flounders with the scale of the production, and the 17 producers attached to this turkey bump their heads and step on their toes. This is big budget balderdash at its worst. How does an Oscar-experienced director fail this badly? Taylor Hackford – who won an Oscar in ’79 and was nominated for his direction in 2004’s Ray – brings together a large cast of actors to tell a loose story about a washed-up performer. Robert De Niro plays the title role, but his jokes are horribly forced and brash with a complete disconnect towards the people in the story. It’s ludicrous how much nonsense The Comedian doesn’t care to acknowledge or confront. The kicker: even the real-life comedians that are given cameos (including Jim Norton, Hannibal Buress, and Gilbert Gottfried) look uncomfortable and unnaturally mannered. An offensive, cinematic placeholder about the day before a tragic movie theatre shooting. Despite how timely it is and how on-the-nose its title is, Dark Night doesn’t want to tie itself to any similar tragedies. Yet, it features a scene where a character wearing a Batman mask practically stares at the audience. It’s a piece of sickening work dressed in “deep” arthouse clothing. A tone deaf wreck about suicide, death, and grieving that’s awkwardly pitched to families. This Canadian oddball is set back by pairing queasy comedy with a vague handling of sensitive subject matter. It’s a massive miscalculation. Movie goers and critics alike gave Netflix a hard time about their first blockbuster, Bright. Bright is a clunky movie, but it’s nowhere near as broken as You Get Me. 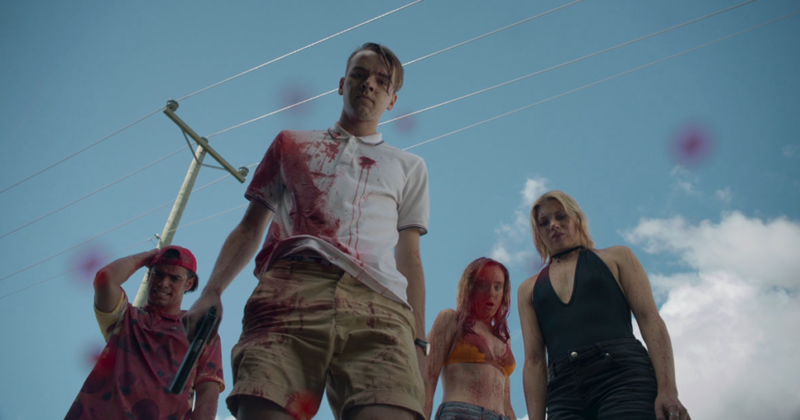 This teen thriller has tasteless mixed messages, awful performances, and a story with as many holes as swiss cheese. Bella Thorne, who looks confused and lost throughout this entire film, almost survives You Get Me out of pure pity. Tyler Perry has rattled me up as often as he’s charmed me. However, he hits a career low with his recent Madea-Halloween movies. Perry, who has worked hard to build strong and empowering female roles, does everything he can to tear down his credibility. In BOO 2, women are treated as property, lured and leered at predatorily, and often referred to as “ho’s” for comedic effect. Once again, the writer/director/producer selfishly hogs the screen by joking around with multiple versions of himself for uninterrupted lengths. Irritating comic relief by returning stars Cassi Davis and Patrice Lovely make BOO 2 an incomprehensible and intolerable experience. It’s all trick, no treat. Perhaps a live-action re-telling of The Jungle Book was necessary. Beauty and the Beast, on the other hand, hardly makes a case for its existence. It’s about 50 minutes longer with a few forgettable new songs. It’s cringe-worthy in its laziness, with absolutely no staying power in terms, not even in costume or set design (truly the most unforgivable sin in a movie like this). Perhaps we should just ignore horror films released in January. As a fan of Adam Wingard’s other films, I found his adaptation of the popular anime/manga series deeply disappointing. Hardly understanding its source material, Death Note is rushed and mostly boring. In a year that saw some uncharacteristically decent output from Marvel (Thor: Ragnarok, Guardians of the Galaxy Vol. 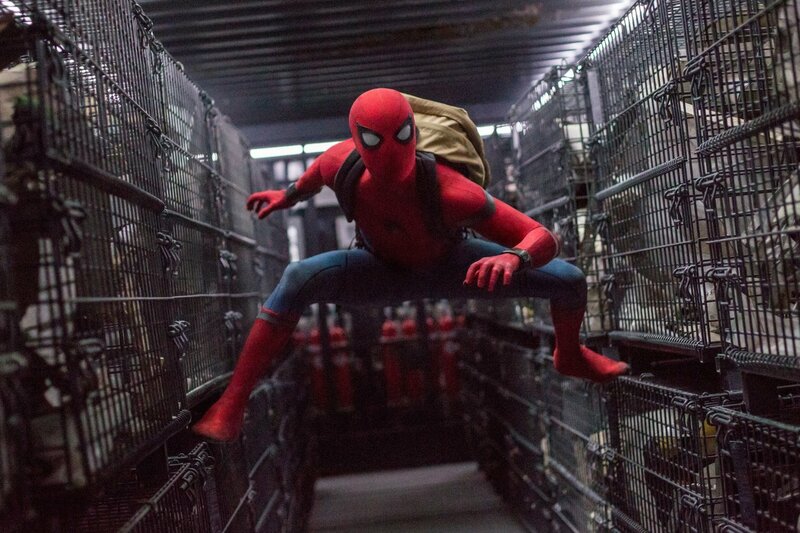 2), Disney/Marvel’s take on Spider-Man felt like much of the rest of the MCU: an anonymously-made assembly-line product. Despite being on my ‘worst’ list, I don’t think this film is awful – just mediocre. Kenneth Brenaugh is great as Detective Poirot, however the character is too eccentric and closed off for audiences to relate to. As a mystery film, viewers will want to solve the crime alongside the investigator, but that’s difficult in this film since the protagonist is so unrelatable. Having never read the book, the number of suspects is also overwhelming for a film’s runtime; with over a dozen suspects, it’s difficult to get to know any of them well enough to be suspicious of them. In spite of its flaws, the first Saw is, and forever will be, one of my favourite thrillers of all time. Each film in the series has grown consecutively worse from there. This latest entry into the horror franchise keeps this pattern going, recycling the same formula. Detectives hunt Jigsaw while his victims die in horrible traps – and there’s always a twist ending. While it’s fun to revisit the series, Jigsaw is just as convoluted and illogical as most of the sequels have been. At the very least, it’s good to see Tobin Bell getting a paycheque again – he’s fantastic as ever in the titular role. The Hitman’s Bodyguard feels more like a wasted opportunity than anything else. A buddy action movie with Samuel L Jackson and Ryan Reynolds? That sounds like a comedic goldmine! Between their collective foul mouths and experience in action movies, I was hoping for another Die Hard With a Vengeance. Unfortunately, the chemistry just wasn’t there between these two, and this by-the-numbers film is ultimately forgettable. Rushed and convoluted, The Dark Tower fails to deliver as a film that showed epic promise and scope. Taking place in a vague, undefined world of portals and dimensions, the universe doesn’t ever feel complete or developed, leaving much to be desired. The resulting film feels like a combination of too many ideas vying for attention, with over-the-top performances that near excess. This film would have benefited considerably from a longer runtime, to give the complex narrative and characters room to breathe and grow. While The Dark Tower moves too fast, the pacing in Flatliners is slower than a dial-up connection. 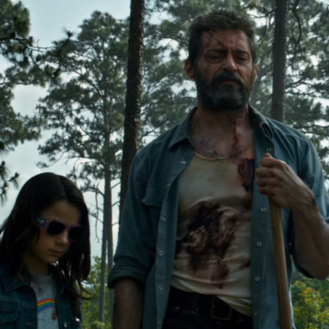 The film is bogged down by blandness primarily, lacking the momentum to keep viewers invested in the concept of what people see after they die. The thin premise is purely hypothetical and barely interesting already, and the execution does not enhance it in any way. With the exception of the Independence Day sequel last year, the end-of-the-world disaster movie is a genre nearing extinction, and for good reason. Geostorm commits every cliché you’d expect, including the heroic sacrifice for the greater good. Most irritating was the earth-saving satellite named ‘Dutch Boy,’ and the way the name was repeated constantly throughout the film. I suspect the writers were really proud of their ‘clever’ metaphor, but much like the rest of the film, it only felt shallow and forced. I realize I’m not the demographic for this film, but did we really need a shot-for-shot remake of an animated classic? Beauty and the Beast already exists, and this live-action clone adds nothing other than two new songs, Emma Watson’s mediocre singing voice, and some terrible CGI. Seriously, the facial features of the clock character were incomprehensible! What was Disney thinking? As ridiculous as they are, there’s a lot of fun in the Fast and Furious series. There’s no denying though that these movies really challenge ‘suspension of disbelief’ as a concept. Remember in the first film when they were just stealing DVD players? Now the series features everything from skydiving cars to ice-drifting submarine chases. What’s most disappointing with this instalment, however, is the missed opportunity to insert the number in the title – The F8 of the Furious. Despite some interesting visuals and action set pieces, the first (and potentially last) entry in Universal’s Dark Universe franchise begins the series with a rough start. The convoluted narrative is too ambitious for the film’s parameters, and the movie tries to be too many things at once. Tom Cruise is downright average in this, but we do get to see the signature ‘running away from explosions’ tracking shot that must be mandatory in his contracts. Russell Crowe turns in a strong performance as Dr. Jekyll, however his “Nick Fury” character expands the narrative too much too soon, distracting from the story at hand and leaning into tangential, sequel-bait territory. This movie is infuriatingly pointless. 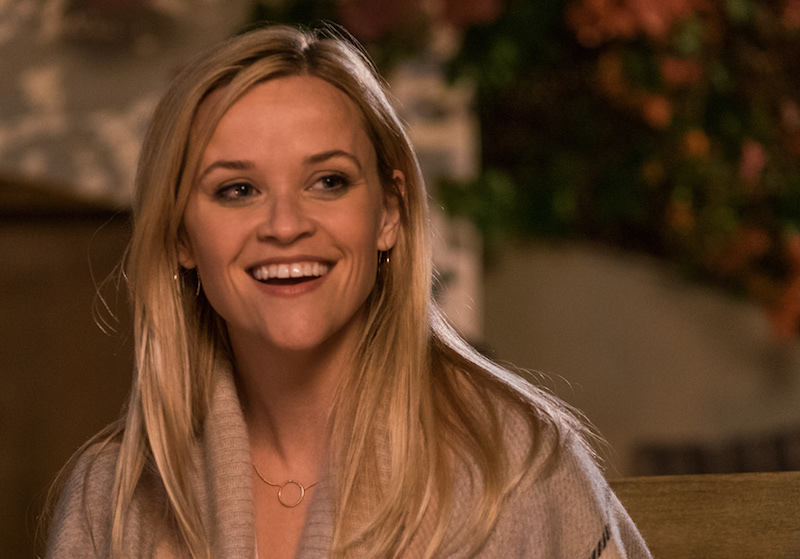 In a film where nothing happens, Reese Witherspoon has three film students stay with her as houseguests. One becomes her babysitter, and another has a brief romantic fling with her. The closest thing we get to conflict is when someone in a career-making meeting doesn’t attend a dinner party – even though they said they might not make it. Otherwise, Home Again is a vapid series of happy situations, with each character getting exactly what they want, one after another. The jokes don’t land and there’s no clear message – other than to avoid this film at all costs. This entry might be a testament to how many “bad” movies I avoided this year, because Justice League is not really a “bad” movie. However, when you compare its potential to other films in its company, it’s a disappointment. DC has the ability to make a good movie (Wonder Woman and Man of Steel are fine examples), but they seem to miss far more than they hit. In a world where the superhero genre is so prominent, Justice League just isn’t good enough to make the cut. I really liked The Belko Experiment’s trailer. It seemed like one of those “what would you do?” movies where the characters are forced to battle their own intentions and morals. Unfortunately, the movie itself was a generic and forgettable horror film. I actually had to re-read the synopsis for this one just to remember what happened – a steep drop from my initial anticipation. What could have been a quirky rom-com turns out to be a rather mean, and not particularly funny film. The plot is unnecessarily convoluted, and the cast is widely underutilized. Lisa Kudrow and Stephen Merchant deserve better. There are a lot of things wrong with Unlocked; poor performances, miscasting, and unlikeable characters to name a few. But, the biggest sin of this film is that it’s boring. It’s an action movie that doesn’t deliver, well, action. There isn’t much good to say about this film regardless of where you look. The acting is subpar at best on all fronts and, considering this is a film based on relationships, it doesn’t help that the leads have zero chemistry with each other. You Get Me is unoriginal, painful to watch, and it’s easily my pick for the worst movie of 2017. Sometimes you have a bad movie, and other times you have a movie that should have never entered production. A great example of the latter is The Emoji Movie. I never want to see Patrick Stewart voice a piece of crap again. Not only does this film contain countless pet peeves of mine, but it feels as if it was written overnight and made by people who were so out of touch with the concept. I didn’t necessarily hate Justice League, but it was missing quite a few elements that would’ve made it so much better. I believe the film had most of the required resources to make a good movie, but Justice League doesn’t rise to the occasion. The CGI is spotty, the villain is awful, and the acting is subpar. It’s also very boring. This book-to-film adaptation was almost an hour longer than it should’ve been. As someone who wasn’t the biggest fan of the novel in the first place, I went in with an open mind with respect towards the filmmakers’ intentions. However, The Shack is a hot mess with squandered potential and moments of restrained, unintentional laughter. A part of me can’t even believe this film got made. In retrospect, I could’ve been way harsher when I reviewed it, but there was something about the premise’s potential that held me back. Tacky, cheesy, clichéd – the finished product barely made any sense. If someone had medically lost their ability to cringe, I’d prescribe The Space Between Us as a remedy. This movie makes my list because out of everything I saw this year, this is the one I don’t think I could physically sit through again after having seen it once. Its attempts to earn audience pathos and be serious and meditative just amounted to a generally boring, needlessly severe melodrama. Worse yet, there was so much isolated, frigid dreariness that I half-wondered if this movie was actively gunning to win some kind of “Most Canadian” award. I cannot begin to describe the resentment I continue to harbour for The Belko Experiment. It’s probably the most vicious movie I’ve ever seen. It is a lot – and I mean a lot – of graphic violence and startling gore for the sake of pure shock value. I’m not particularly wimpy when it comes to abrupt, on-screen violence, but this film was relentless and manipulative and just a bad time for virtually no payoff whatsoever. Boring, forced, and unoriginal; the “child genius who adults fight about” plot has been done to death. The characters were written so flatly and stereotypically that you cared about no one, not even the cute kid. I spent so much of this movie rolling my eyes that my eye sockets needed massaging by the end. Look, I know this will be contentious but hear me out: this movie is the best of my worst. In my opinion, a highly anticipated, high stakes sequel from a cultural powerhouse franchise has a greater responsibility to be excellent than your average release from a half-committed studio. Sorry, but the jokes were awkward and didn’t fit, there was a distractingly huge amount of tedious filler content, and most importantly, this movie made a confusing mess of details that were previously canon in the Star Wars universe. It’s less that it was “bad”, more that it had a big obligation to deliver and was a big disappointment, no matter how much I wish that weren’t true. The third of this legendary trio, this film’s failure is owing to the fact that Noah Baumbach gives up his own voice in order to imitate that of Arnaud Desplechin. Unfortunately, Baumbach doesn’t understand that voice, resulting in a half-baked Jewish-“French” film which ultimately has nothing to say. One of the worst films at TIFF, Omerta has managed to mostly remove itself from my memory. All that I can really remember is the bad acting, the convoluted attempt at storytelling, and the absolutely overarching Islamophobia throughout. The second personal favourite to appear on this list, Denis Villeneuve’s Hollywood output has been quite a disappointment, with his best American work being unable to compete with his worst Canadian film. That being said, none of them have been this bad. Blade Runner 2049 was, without a doubt, one of the most boring experiences I have ever had in a cinema. Flagrant false advertising: it did not come at night. In fact, it did not come at all, unless it actually refers to total tedium. And don’t give me that atmospheric horror argument: an atmosphere isn’t enough if there’s nothing else there. The first of three directors to appear on this list that I consider favourites. What happened, Wim Wenders? Wenders seems to have forgotten that cinema is not just about pretty nonsense – you need at least a hint of substance. Do I need to go over this again? Bad in every way. Bad performances, bad writing and bad aesthetics. The only thing that kept it from reaching the top spot on this list is that it wasn’t egregious in its awfulness. More quirky indie BS. Table 19 doesn’t know if it’s a comedy or tragedy, resulting in a comedy that’s not quite funny and a tragedy that’s not quite tragic. What you end up with, in the end, is an uneven mess. The worst film on this list, as far as technique goes. Spookers is a great example for the importance of a good editor. Every time you think you almost know one character, another one is introduced. Questions are introduced and dropped without notice. The director does not seem to understand that emotion comes from familiarity, as opposed to plurality. I was very excited for this one: it has a great concept and Peter Dinklage. Unfortunately, it also had Richard Gere who has a tendency towards bad movies. This turned out to be further proof of that. Three Christs is a lifeless, listless, pointless, humourless exercise in banality. Have you ever wanted to watch a movie where a guy kills animals by gassing and shooting them for the first two acts? Well, do I have a movie for you! By the time the Nazis got involved, I was too worn out to even care anymore. It’s like someone decided to make a movie featuring everything that I hate! Quirky indie aesthetics, bad performances and a weird understanding of ethics all come together to create an unendurably awful film.